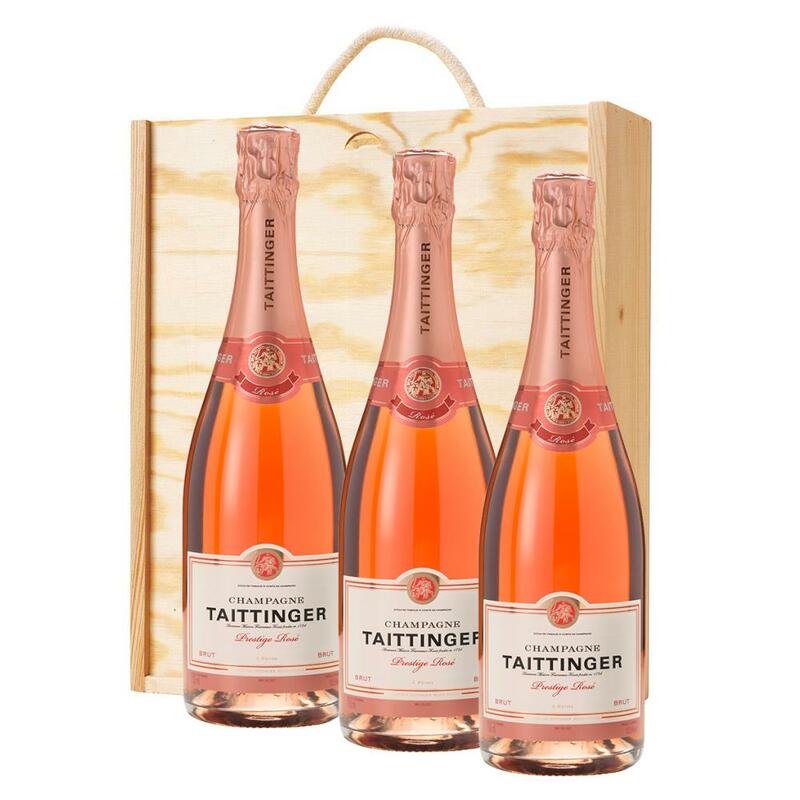 3 x Champagne 75cl bottles of Taittinger Rose Champagne 75cl supplied in a wooden timber case lined with wood wool. Delicate salmon pink in colour, 45 Pinot Noir, 30 Chardonnay, 25 Pinot Meunier. Its aromas are fresh with wild strawberries and a hint of spice. On the palate this lively, fruity, fresh and elegant wine is balanced and smooth with good length and persistent flavours of crushed wild raspberry, cherry and blackcurrant. 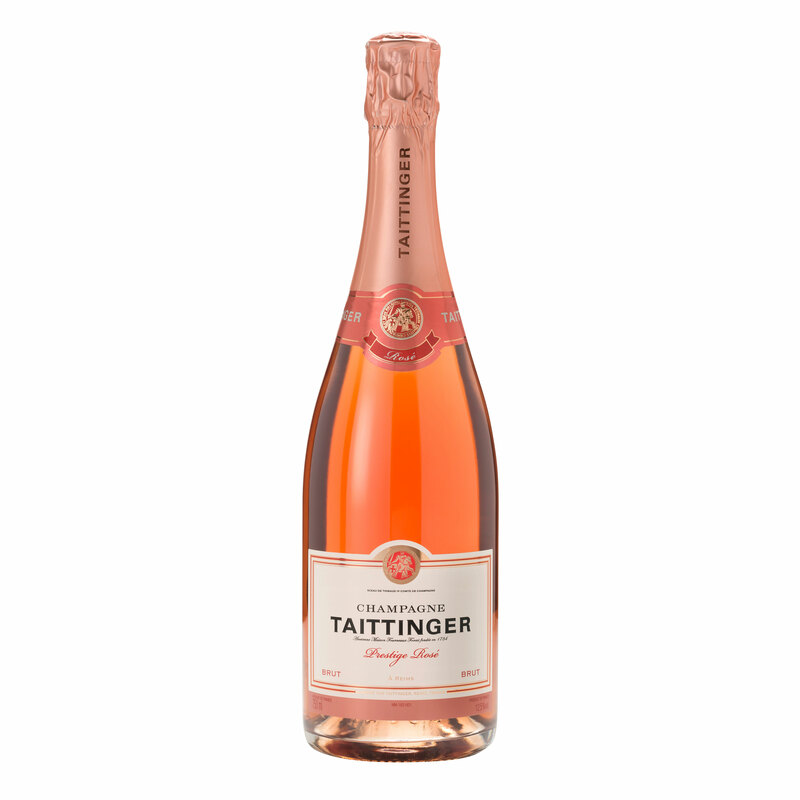 Overall, the Prestige Rose displays charm and subtle harmony of flavours. This product is hand packed onsite by Bottled and Boxed, and is not affiliated with any other brand. Bottled and Boxed is responsible for this product combination/set.